Suitable for stirring and heating solution viscosity samples. 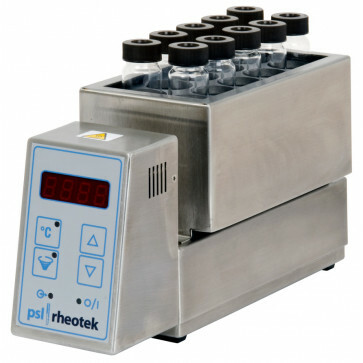 The Reaction Stirring Block consists of a micro processor controlled sample block suitable for stand alone use or integrated with the auto sampler of a PSL Rheotek Automated Viscosity Solution. Ten position reaction block, PTFE coated suitable for use with 40mL vials.